You can improve your panning technique by following the hints below. In the article Action Panning Shots with Motion Blur we looked at basic panning technique. 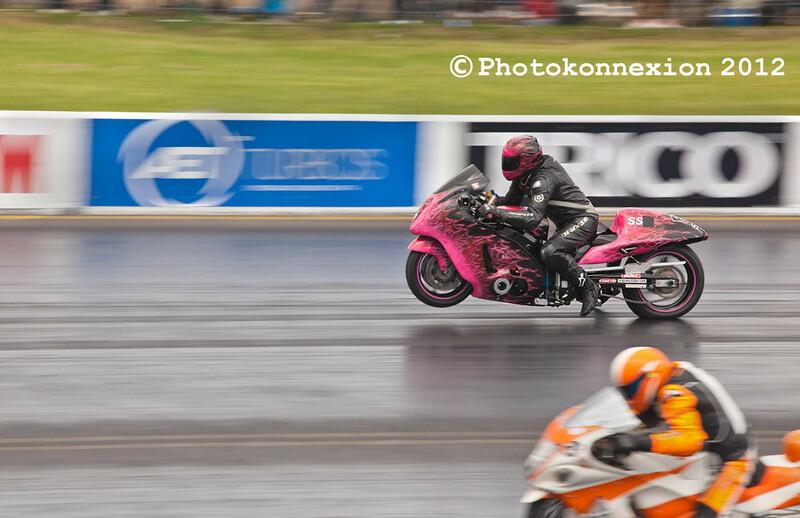 In this post we look at some things you can do to improve your panning shots. Consult some local maps. Find a road with regular, spaced traffic. I find an ‘A’ road is best – it’s not too fast. A road with a green space alongside it is best. You should be able to stand back from the road and see about 200 meters in each direction. Thirty mile an hour traffic is a good practice speed. Take an hour for your first practice. Light weekend traffic is best. Stand on the grass roadside space in the middle of your chosen stretch – about 10 to 20 meters back from the road. Stand facing the road, legs slightly apart, so traffic passes right in front of you. Swivel your body to look sideways down the road. Now, without pushing the release button track a car as it comes toward you, passes and recedes. Follow all the way through, keep control. Your tracking movement should be smooth, level, and based on the speed of the vehicle. Keep the subject vehicle in your viewfinder throughout the pan into the distance. Repeat at least five times without taking a shot. Your aim is to feel the speed of your rotation. Concentrate on the smooth flow of your tracking as you pan. Learn how long the pan takes, judge your button push point. Ensure you follow through. Now you will have a ‘muscle memory’ of your moves. Try your first shots. The camera settings are in this article: Action Panning Shots with Motion Blur. Press the button and keep it pressed. 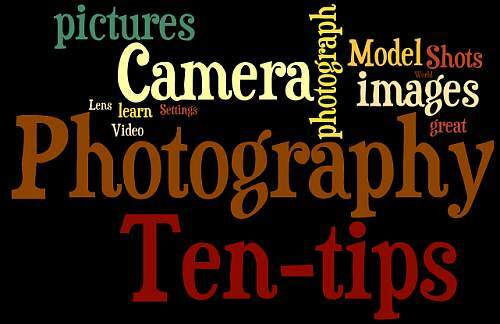 Inspect your first shots on your camera. Pick out the good and bad points. Try to spot where the subject vehicle was sharp and where it was not – where it was in the frame, where it was not. Repeat the shots for practice and analyze it each time. As you get better with practice you will find the ‘memory’ of the practice will help you keep your panning consistent. Practice once a week or more for a few weeks. You will find that it gets easier and easier. You develop a ‘muscle memory’ of how to pan after a while. Then it is easier to adapt your tracking speed and tempo. Hint 1. Motion blur of the background of a panned shot is created by the camera movement. As you pan the camera through the shot the background blurs. The idea is to keep your panning motion consistent with the speed of your subject. The subject will then be stationary relative to the camera – so you get a sharp shot. The trick is to pace your shot. Keep your body swivel-movement tracking to keep the subject in the viewfinder. Hint 2. When doing your practice try to pan with different subjects at different speeds. Bicycles are fun, but the panning is slow. You will find that you may make up/down movements when panning slowly. It takes practice to pan slower and still be level and consistent. Try to gets lots of practice at the same speed as the pans you want to do. I photograph a lot of water sports. At first it was difficult to get it right because the panning speed is slower than a vehicle. After practicing with rowing boats for a few hours and working with a shutter speed of 1/15th of a second I began to return some decent shots. Hint 3. While panning a subject your body turns slowly at first. It gets faster when the subject is right in front of you. Then your swivel slows down again as the object recedes. You will need to feel that happening and compensate for it as you track the object while panning. Your swivel motion is NOT the same speed throughout your pan. There is a good reason for this. As the subject comes toward you it is in the viewfinder for relatively longer when at a distance. When it is right in front of you it is moving a very short distance across your view at full speed. So you need to be fast tracking there. Hint 4. If your subject changes speed/direction you must anticipate that and stay with it. Corners and straights (acceleration) are examples where changes occur. So you will need to work the shot a few times before you get the tempo of your new panning motion where the change occurs. Hint 5. While panning you will find that you are able to hold the camera evenly at the same level if you swivel smoothly through the pan. However, if you go slower or faster than the subject you will introduce blur to the subject – they will no longer be stationary relative to the camera. So you must practice accurate tracking of the speed of the subject while panning. Hint 6. The vibration control in your lens is important. Canon cameras have ‘image stabilisation’ (IS). Nikon has ‘Vibration Reduction’ (VR). These systems compensate for vertical and horizontal vibration and movement. More expensive lenses allow you to turn off the horizontal component. When panning, if you swivel smoothly from the waist you will find the horizontal movement through the pan is quite consistent. To take advantage of the lens control, turn off the horizontal stabilisation. This will help the sharpness of the shot compensating for any vertical movement. If you leave the horizontal compensation on it will act against your panning movement. Hint 7. Finally, I have met some people who think you can pan successfully with a monopod or tripod. It is a practically difficult thing to achieve. Think about it. A fixed turning point in front of you will not allow you to track a subject unless it is going in a circle around the tripod centre point. To keep tracking around the centre of turning on the tripod you will need to move or bend yourself off-balance. You may make a few shots, but your record will be inconsistent. Proper panning is a sweep of the body rotating about your centre. That rotation point is right between your legs. Proper rotation takes practice and free-holding of your camera. Your hand-held practice will definitely pay off. Posted on February 1, 2012 by Damon (Editor) | Comments Off on What is a Monopod? The monopod is an aid to providing stability for your camera during a shot. We provide a full definition of a monopod in our glossary (see: Monopod). It is a false economy to buy the cheapest available of something. Good quality and great design are not cheap. However, popularity often brings the price down to reasonable levels. Good quality, well designed equipment, becomes affordable. This superb Monopod from Manfrotto, the quality tripod manufacturer, is a great example. Manfrotto have a wide range of monopods. The Manfrotto MM294A3 294 is a popular popular monopod in Aluminium, built in three sections. It is compact light, durable, and reasonably priced. The fittings, especially the clamps on the leg joints, are superbly designed. Cheap monopods often suffer from poor or wobbly clamp joints which reduces the monopod stability. Another feature of this model is the aluminium mounting disc. Cheap monopods often have plastic platforms. This does not perform well, especially with bigger compacts and DSLRs. This model also features both the 1/4in and the 3/8in standard tripod screw sizes – most monopods only feature the 1/4in size. A suitable head for this monopod is the Manfrotto 234RC monopod tilt-head (Quick Release) . It’s a simple tilt head which allows a camera to be turned through 90 degrees for either vertical or horizontal format shots. It features a quick release head for immediate release of your camera for hand-held shots. Comments Off on What is a Monopod?